What If We're Wrong-Part 02 : Executive Leader Coach @ dbkAssociates, Inc.
As many of you know, long before the mainstream business press jumped on the topic, I was fretting over the possibility of a major change in our economy. That change is, in my mind, driven by a lack of jobs due to automation. So will we lose the jobs or will we simply have many newer jobs like in the past technological revolutions? Will the average worker be able to handle the newer jobs? We’ll soon find out. But what if I’m wrong about losing significant jobs to automation? And what if “they” are wrong about NOT losing them? 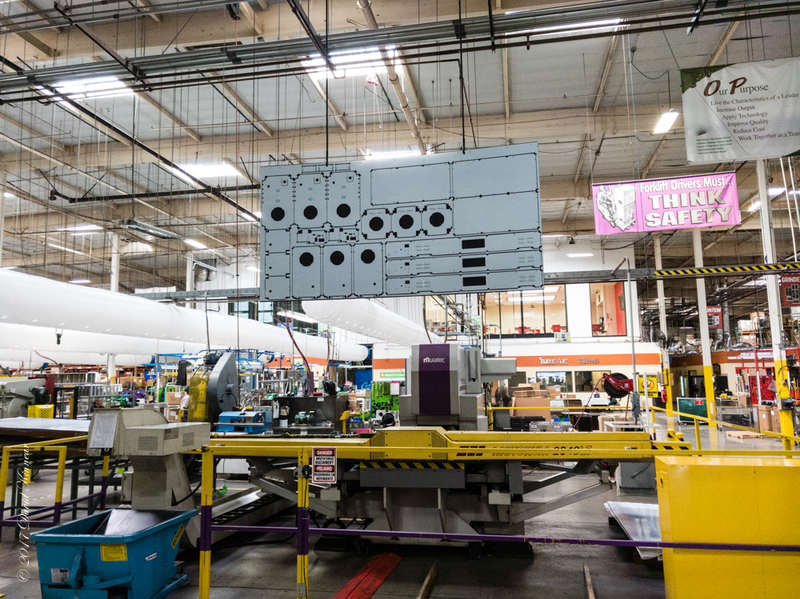 The image above is one I took at a facility manufacturing products here in the LA area of California. What? California? Manufacturing? Yes. This large facility successfully competes in a highly competitive industry. And they do so with the majority of their manufacturing done here in Southern California. 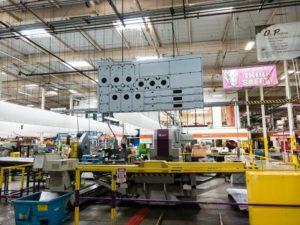 Much of that competitive success is due to reducing costs by optimization of the production line (lean manufacturing). And a significant cost savings comes from automation. The image was taken at the height of the work day. There are over 200 people in this large facility. Where are they? They are working among the machines. Both, people and machines, are performing their assigned functions. This is the image of the future for many folks. Working side by side with intelligent machines. It is true that there are now fewer workers producing more than twice the revenues. Still, there are a significant number of employees gainfully employed. I agree with the view that we will work with machines during a significant period of transition. I am less in agreement with that assessment as time goes on though. Perhaps I put too much faith in the technology and the humans behind it. But I believe there are no human endeavors that machines cannot learn to do and become even better at than humans themselves are. And white collar, or knowledge workers, will be replaced first. The rub is timing. In a recent IEEE Spectrum TechAlert, the captivating headline was “Human-Level AI is right around the corner—or 100 years away.” As usual, there is agreement on the technological achievements that will be made. It’s the timing that’s an issue of contention. We humans usually overestimate how soon technology will arrive and horribly underestimate the impact when it does arrive. What if we take the view that technology is soon going to replace humans at most jobs? By soon I mean within the next fifty years or so. What does our economy look like if that happens? We will have hundreds of thousands of people who cannot get a job. Not because they are lazy, but because there aren’t any jobs left for which humans need apply. Let’s assume we get through all the details, politics and personal preferences and put a system in place that can grow with growing human unemployment. Let’s assume we provide all the psychological support needed to help people transition to the new “no job” life. And what if after all that effort of changing our system to anticipate unemployment and re-training of as many people as possible, we are wrong? What if we always only work with intelligent machines and they don’t replace us? What if, as some say, we have even more jobs due to technological advances? My view is we are still way ahead of the game. We will have spent money and time to develop a simplified, cohesive system to support the unemployed. We will have changed our whole economy to make it more efficient and effective. The consequences for preparing for a large amount of unemployment and then having it not appear are minimal. On the other hand, not preparing for significant unemployment and having it quickly appear will be disastrous. Maybe even cause global revolutions. I believe there will be advantages to having planned for the worst even if it doesn’t transpire. We will gain in terms of efficiency and effectiveness of our “normal” support systems. What I mean by that is, perhaps we will consolidate the inefficient and ineffective hodgepodge of programs we have now into one simplified program for supporting those not able to work traditional jobs. Humans will learn to achieve meaning for their lives in other than work. That will be a good thing.